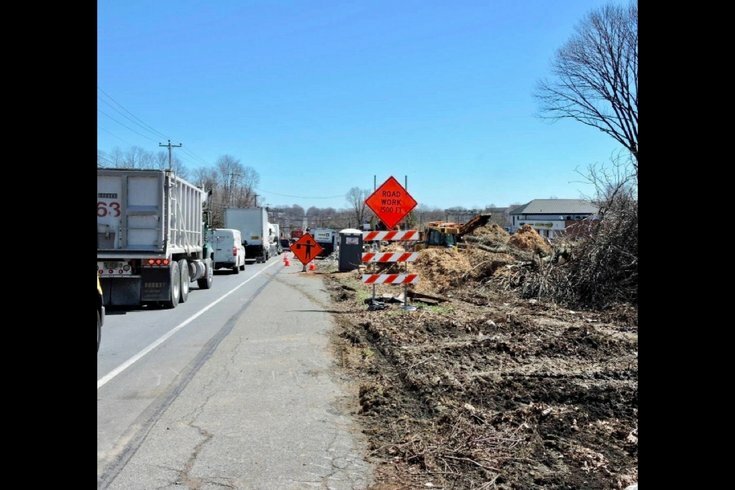 A multimillion improvement project is underway this week to widen a vital thoroughfare that connects Delaware County residents to major highways. On Friday, Gov. Tom Wolf and Pennsylvania Department of Transportation officials participated in a groundbreaking ceremony for an effort to reconstruct 6.7 miles of U.S. 322, also known as Conchester Highway, in Concord, Bethel and Upper Chichester Townships. The project is estimated to cost $62.7 million to improve the road from U.S. 1/Baltimore Pike to Route 452/Market Street. The existing two-lane stretch of road will be transformed into a four-lane highway with a grass median to increase safety. New features will include turning lanes, upgrade traffic signals and Bluetooth tag readers to optimize traffic flow. The roadway will remain open while construction is underway. However, flagger-controlled lane restrictions will occur as needed during non-peak travel periods. The project was financed with 80 percent federal and 20 percent state funds, officials said. Work is expected to completed in late 2020.